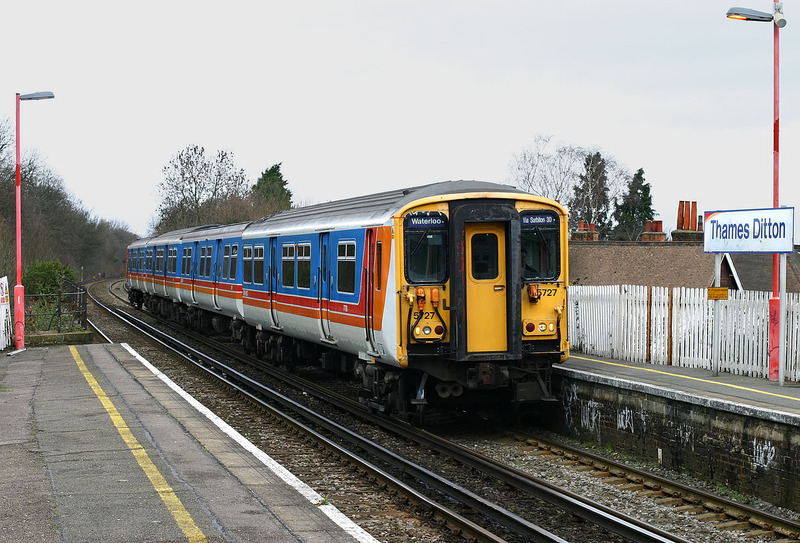 Class 455 5727 arrives at Thames Ditton station on 20 March 2004 with the 14:09 Hampton Court to Waterloo South West Trains service. The roofs of the houses on the right clearly indicate that the line is on an embankment at this point. In fact, there is a roundabout underneath the twin arch bridge which the train is just passing over.